Charles Wallace “Bud” Mills, age 78 of Talking Rock, passed away Tuesday, March 20, 2018 at his home. He was born August 27, 1939 to Truman and Magnolia Mills in Jasper. Survivors include his wife of 47 years, Rebecca “Ann” Ghorley Mills of Talking Rock; son, Keith Mills of Talking Rock; sister, Betty Jean Allgood; sister-in-law, Pat Ghorley; special four-legged friend, Foxy Mills; several nieces and nephews. Funeral Services will be held 2:00 p.m., Thursday, March 22, 2018 at the Chapel of Roper Funeral Home. Interment will follow in Lake Forest Memorial Park. The family will be receiving friends at Roper Funeral Home Wednesday, March 21, 2018 from 11:00 a.m. until 9:00 p.m. and Thursday, March 22, 2018 from 9:00 a.m. until 2:00 p.m. The family requests that flowers not be sent. 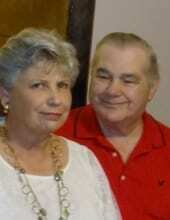 In lieu of flowers, make donations in memory of Bud to Hopewell Baptist Church Cemetery Fund.